A holiday party just isn’t complete without a delicious cheese ball recipe (or two or three) front and center! 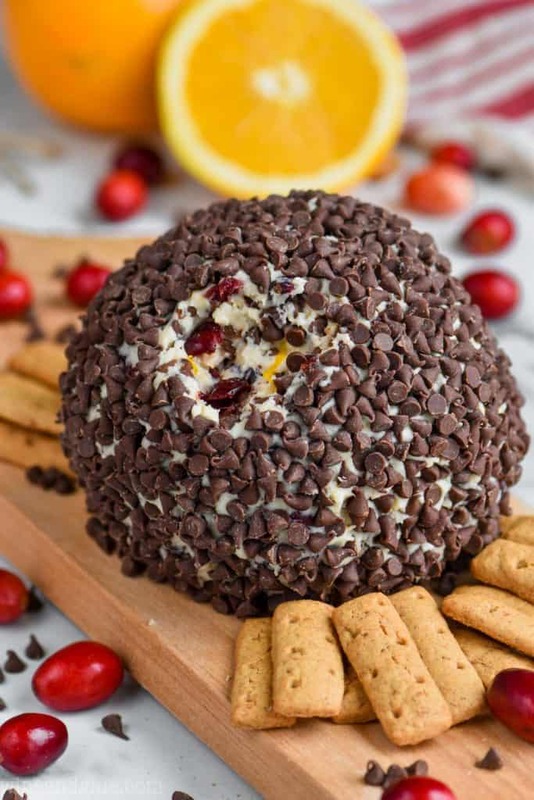 From savory to sweet, bacon to chocolate, here are more than 30 to die for cheese ball recipes to try this holiday season! 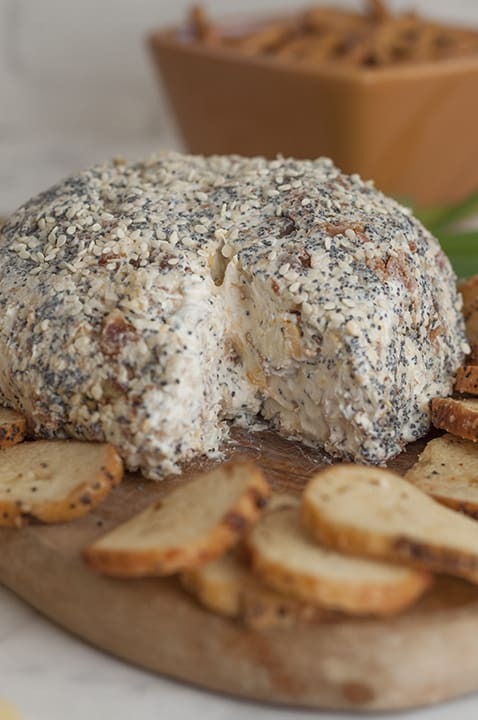 This cheese ball recipe with cream cheese has the delicious flavors of olives, mozzarella, Parmesan, garlic, and a little kick of spice. Um, bacon. Need we say more? Covered in scallions, this crab and mozzarella combination is a hit! 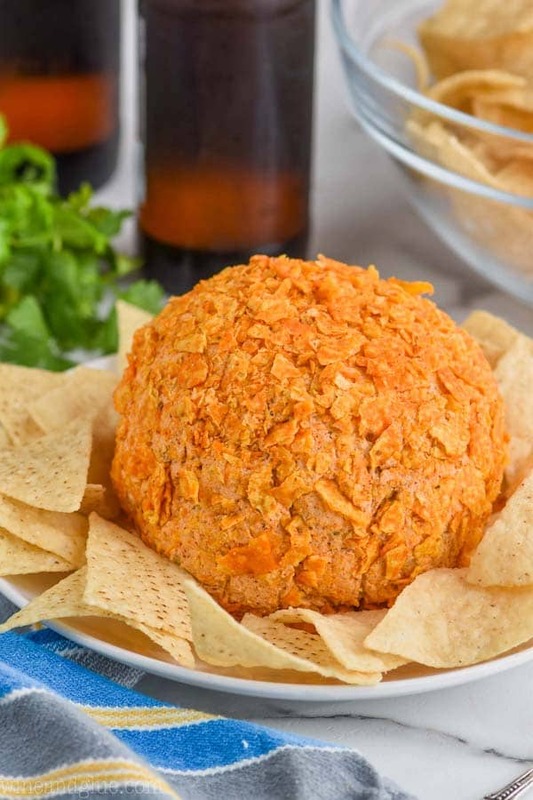 This Taco Cheese Ball Recipe easy to make, has delicious homemade taco seasoning flavor and is totally addictive. 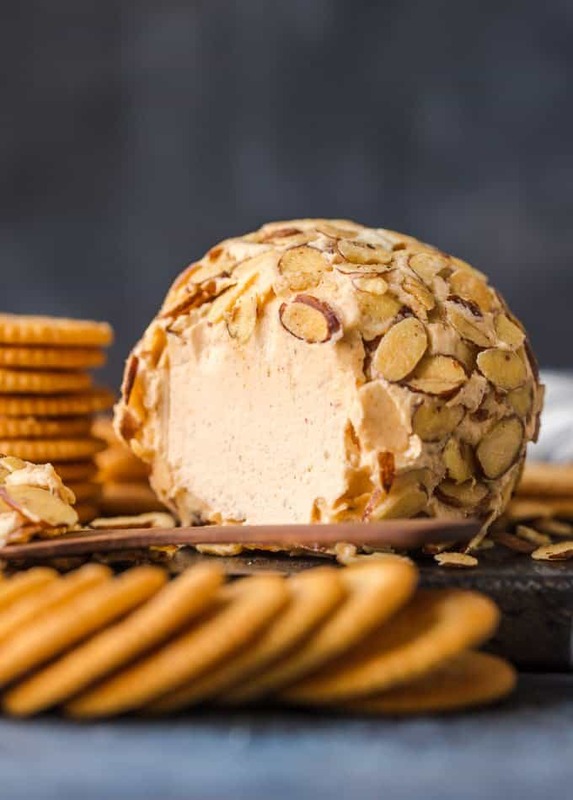 The mix of cheddar, Mexican bland and cream cheese formed into a classic cheese ball, with a layer of toasted almonds on the outside, is just too delicious! 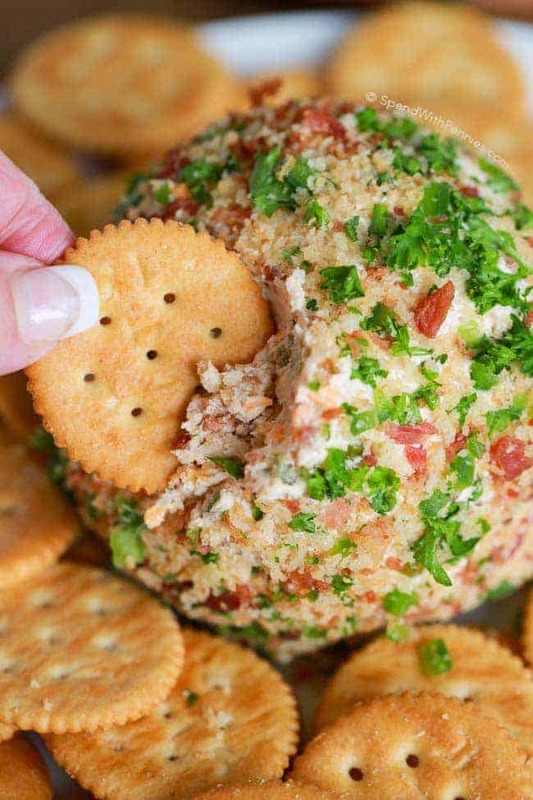 This mini bacon ranch cheese ball recipe only takes 5 ingredients and about 10 minutes to put together. 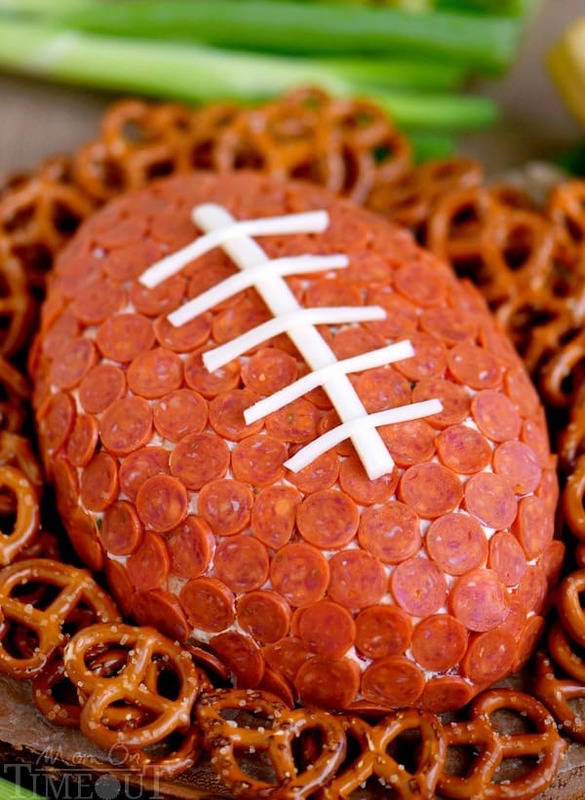 Perfect for game day or any holiday! 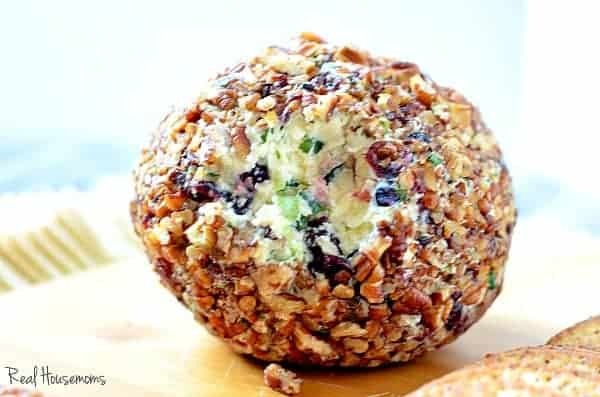 Onion Cranberry Pecan Cheese Ball is an easy to make recipe with the most beautiful colors!!! 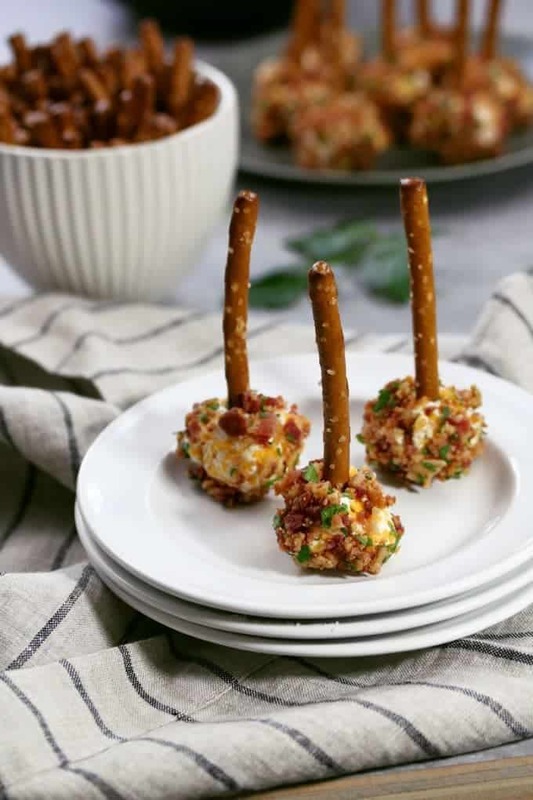 Your friends will go nuts for this make-ahead appetizer! 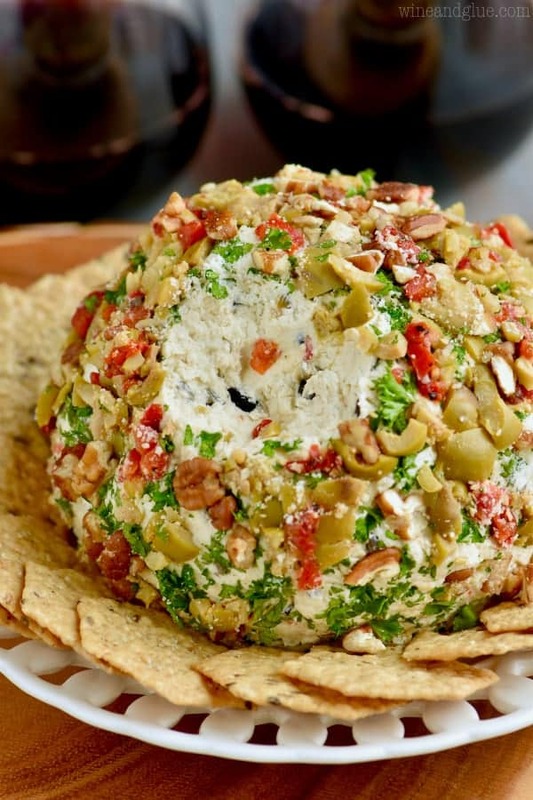 This Spicy Cheese Ball recipe is a hit! A creamy base, loaded with crispy smoky bacon, spicy jalapenos and sharp cheddar. Perfect party snack! An old time classic, made with onion, garlic powder, salt, cream cheese, butter, cheddar and a secret ingredient: feta! 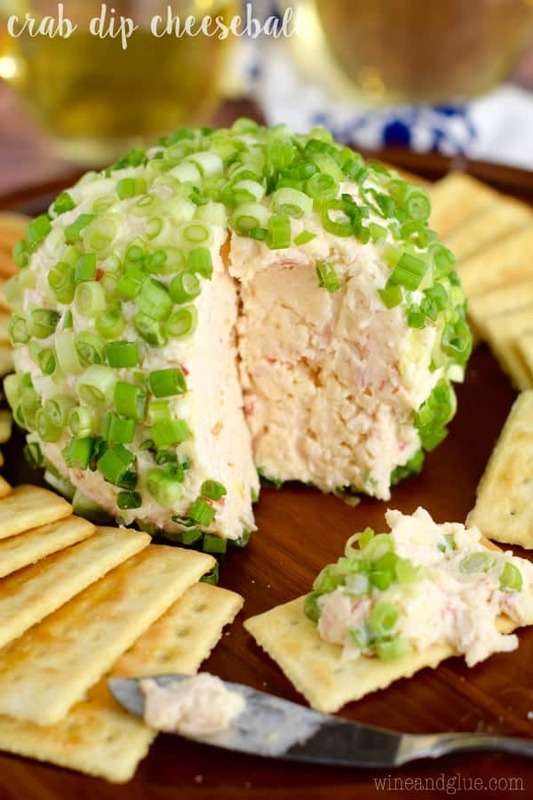 You’ll love this savory cheese ball option. How fun is this?! Super easy to make and a total showstopper! 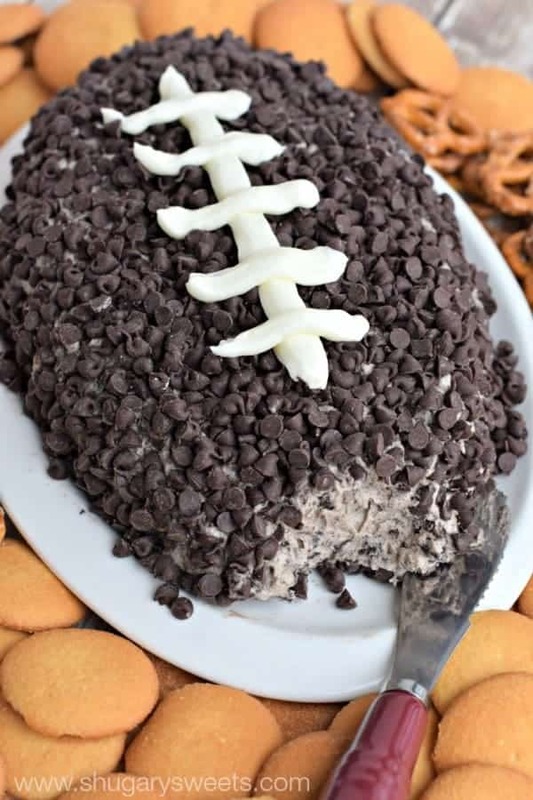 Make this for your next game day celebration and watch the crowd go wild! 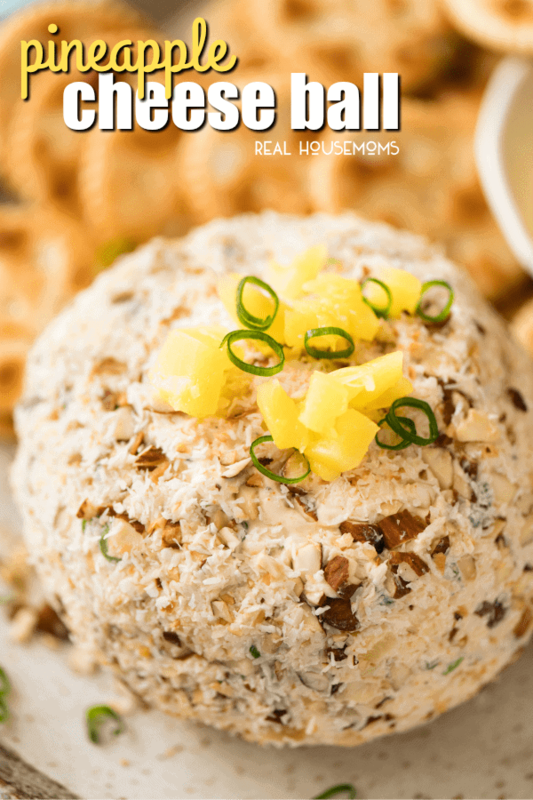 Bring the tropics into your own home with this Pineapple Cheese Ball. Bursting with pops of pineapple, coated with coconut and almonds, this is so delicious! 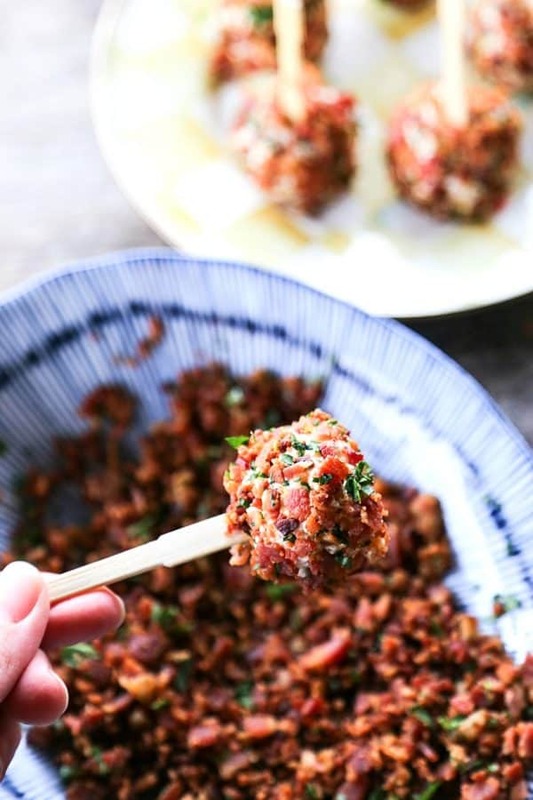 You’ll be everyone’s favorite when you show up at a gathering with this BBQ Bacon Cheese Ball. It’s easy to throw together and made with simple flavors everyone likes. Everyone loves the sweet and salty cheese flavors and creamy texture with the perfect amount of pecan crunch coating. Perfect way to use your leftover holiday ham. Get the party started with this easy Everything Bagel Cheese Ball. All the flavors of your favorite everything bagel turned into a delicious appetizer. Serve with bagel chips and watch it disappear! 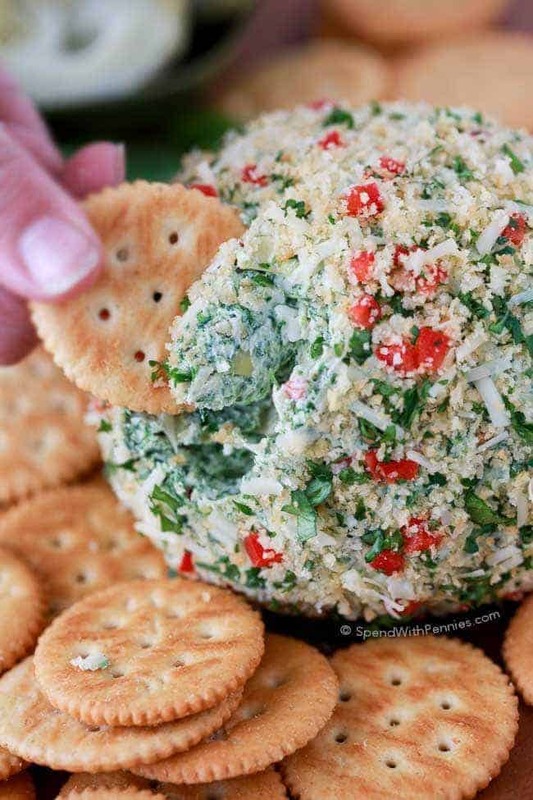 This Spinach Artichoke Cheese Ball recipe will be the star at your next game day party or as a starter at your next holiday gathering. It’s rich, creamy and loaded with spinach and artichokes. 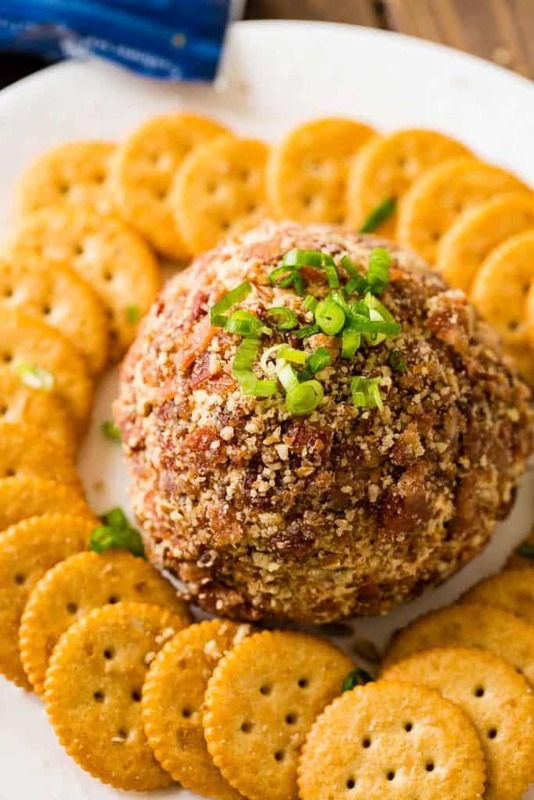 This classic cheese ball is made more exciting with ranch dressing mix, shredded chicken and crisp bacon, rolled into bite-size cheese balls. So good! 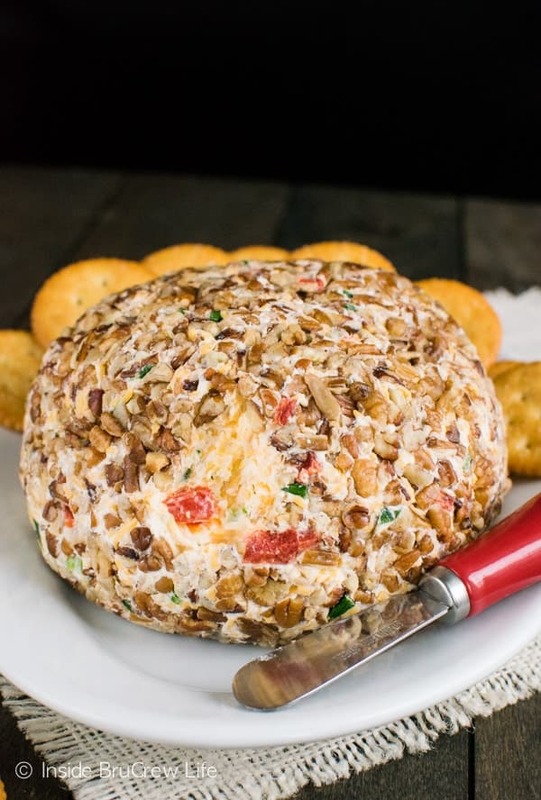 This Roasted Red Pepper and Garlic Cheese Ball is just the appetizer you need for those holiday parties and events coming up. The cheese and veggies rolled in nuts is perfect for cracker and pretzel snacking. 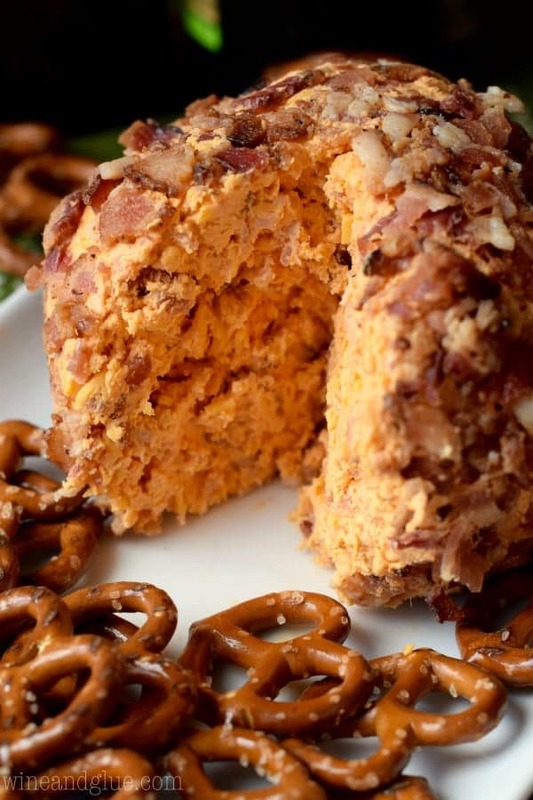 This creamy buttermilk ranch bacon cheese ball is loaded with cheese and bacon and coated with sliced almonds. Plus, it’s ready in ten minutes or less! 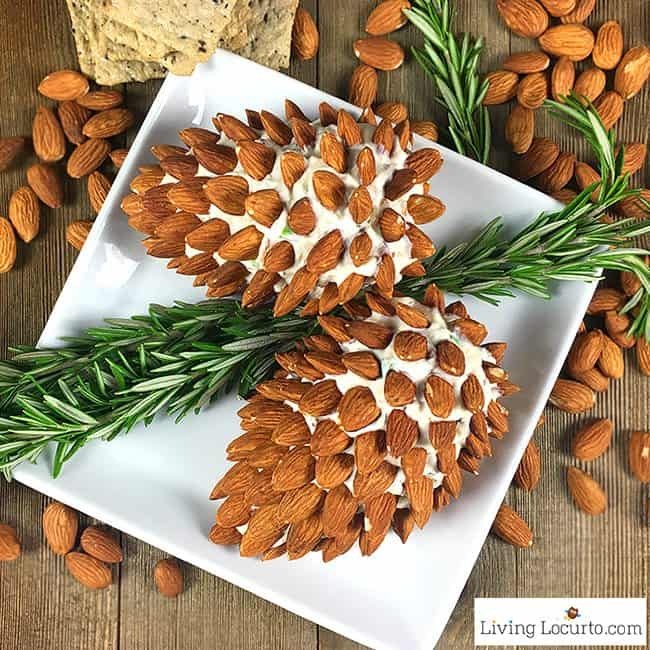 This simple to make Pine Cone Cheese Ball with Almonds is a fun and festive Christmas party appetizer recipe for the holiday season! 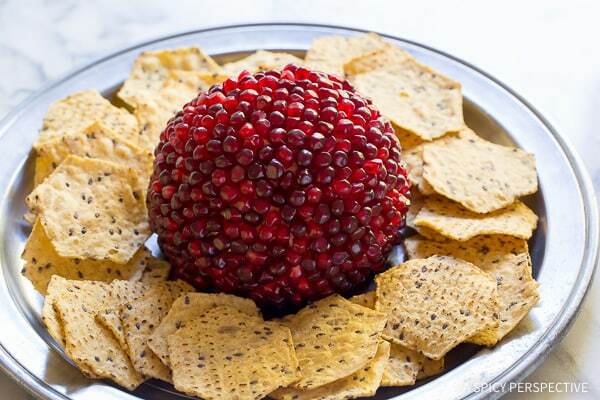 This easy 7-Ingredient Pomegranate Crusted Cheese Ball is perfect for your holiday gatherings. A party isn’t a party without a cheese ball! 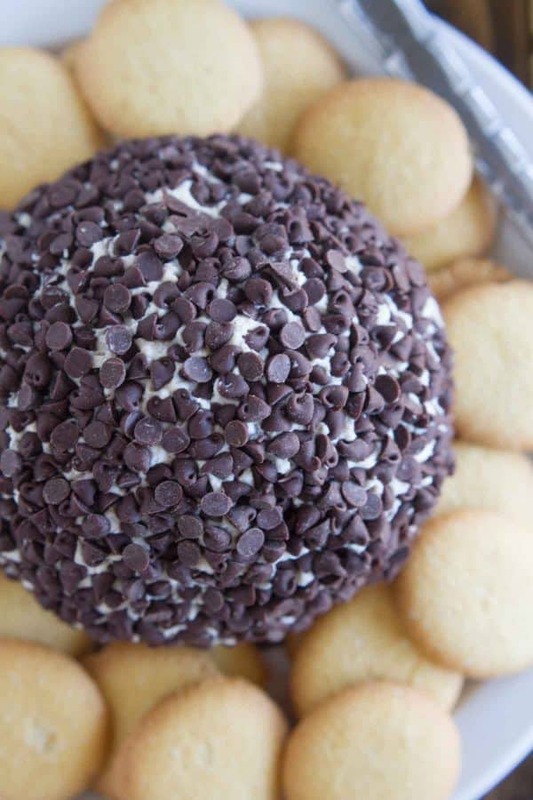 If you love sweet cheese ball recipes, this Oreo Cookies and Cream Cheese Ball Recipe will knock your socks off. 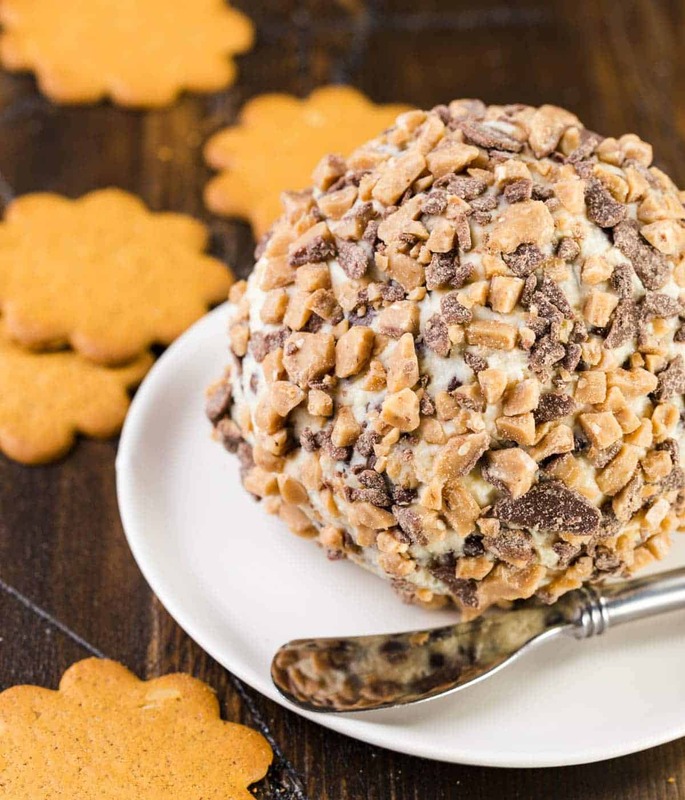 This easy, sweet Turtle Cheese Ball recipe with caramel, pecans and chocolate chips is a great dip to serve with apples, animal crackers or grahams. 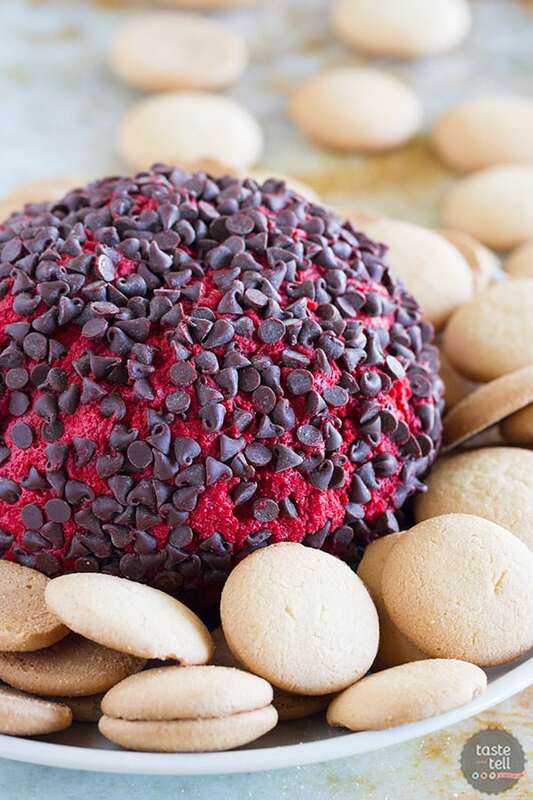 This Red Velvet Cheese Ball is the ultimate dip for red velvet lovers!! 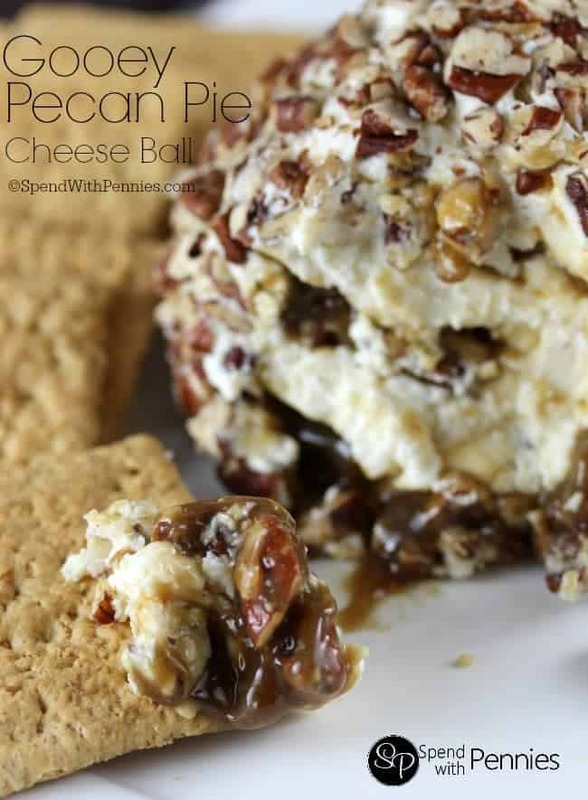 This sweet version of a cheese ball will have you going back for more! 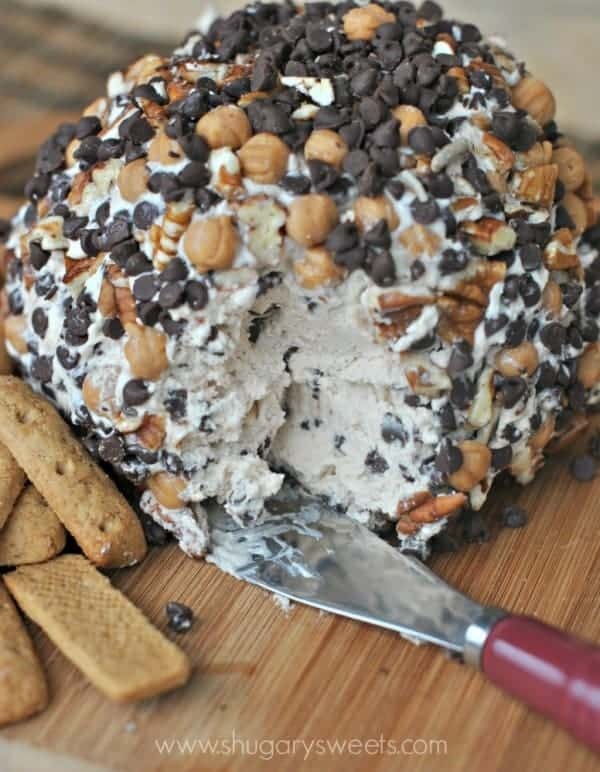 This Cannoli Cheese Ball has the flavors of cannoli filling turned into a cheese ball. It is a super easy recipe for entertaining! If you are looking for the ooiest gooiest yummyiest cheese ball out there, this is it! Kind of like Cheesecake meets Pecan Pie! 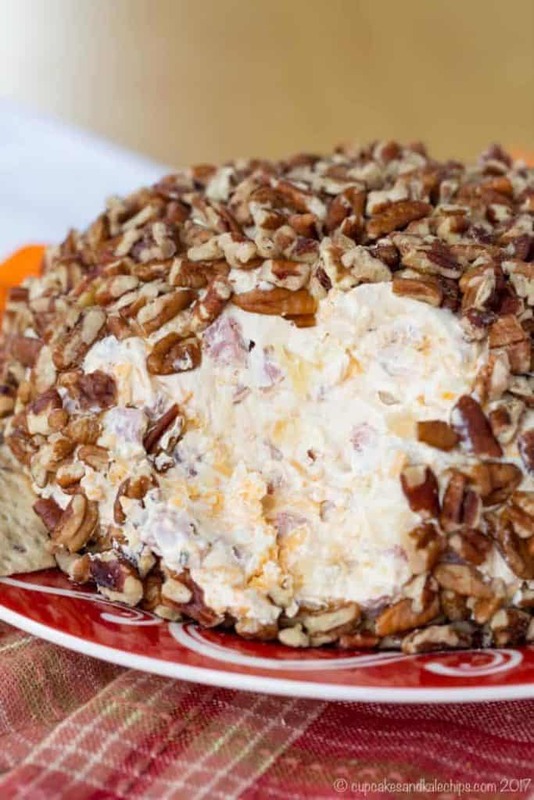 Need an easy and sweet cheese ball to share with a group? 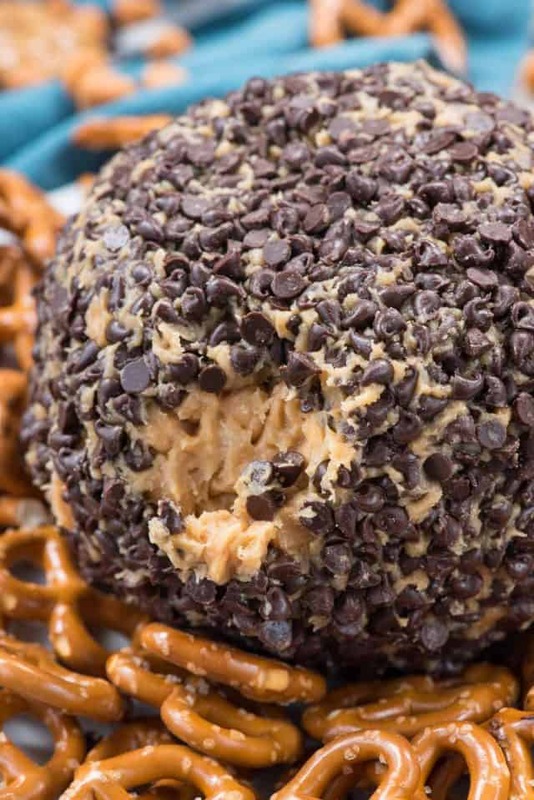 This Chocolate Chip Cheese Ball is made with pantry staples and gets gobbled up every time! 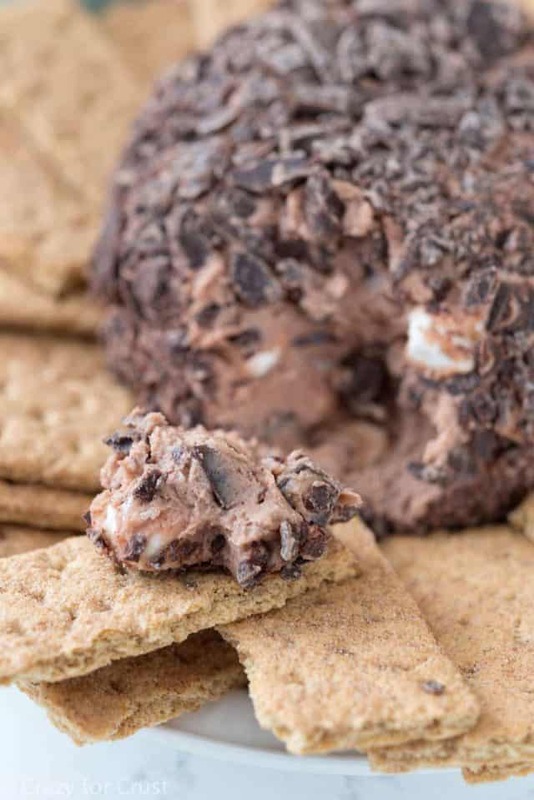 No need for a campfire; this Chocolate S’mores Cheese Ball is a sweet appetizer recipe that will knock your Mom’s savory cheese ball out of the water! 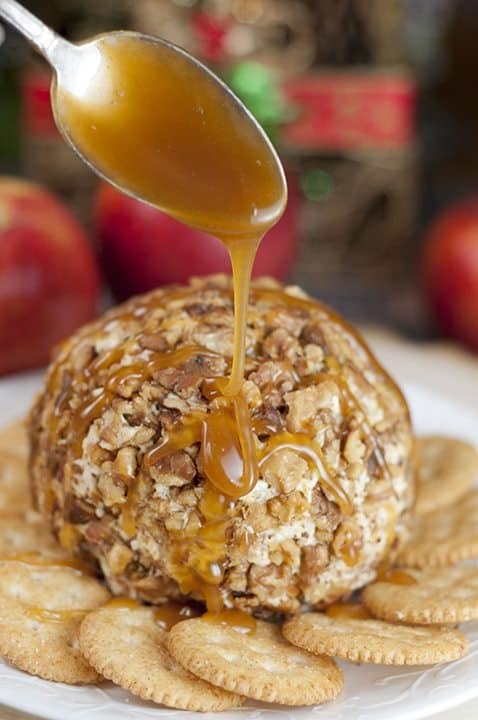 Quick and easy Caramel Apple Cheese Ball recipe is ideal for a holiday appetizer, snack or dessert! 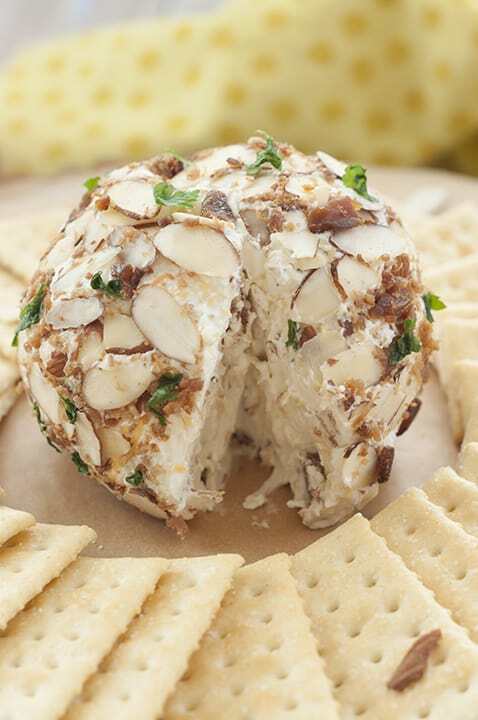 Sweet and salty, this cheese ball is perfect for a potluck or party. 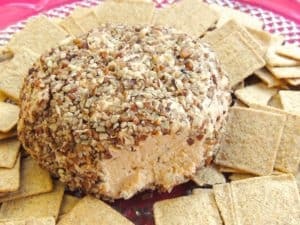 Peanut Butter Cheese Ball Dip is so easy! 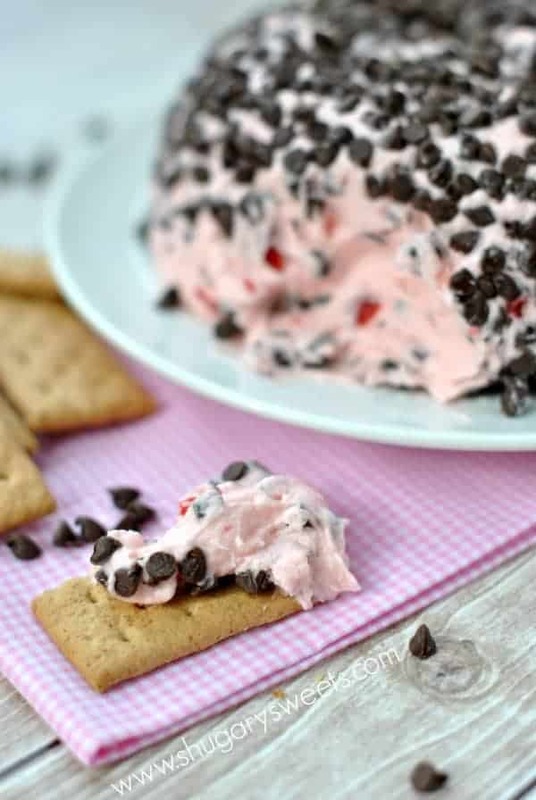 Peanut butter, cream cheese, butter, sugar and lots of chocolate makes this dip so addicting! Love German chocolate cake? Especially that sticky coconut frosting? 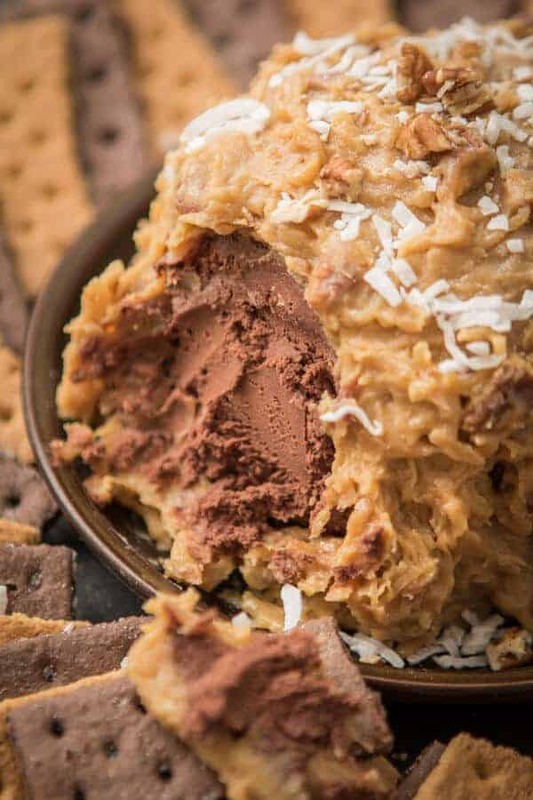 This German Chocolate Cake Cheese Ball is way easier than cake but just as delicious! I was unable to get the recipes I clicked on the picture and also the writing. All of these recipes looks mouth watering. I would love to try them all. Thank you for sharing.